Former prime minister of Nepal Sushil Koirala passed away on 9 February. He was suffering from Chronic Obstructive Pulmonary Disease. Koirala resigned as Nepal PM in October 2015 following a political row over the new Nepal Constitution that also saw the blockade of a key border trade point with India. Prime Minister Narendra Modi took to Twitter to express grief over Koirala\'s demise. Former prime minister of Nepal Sushil Koirala passed away early on 9 February. He was suffering from Chronic Obstructive Pulmonary Disease. 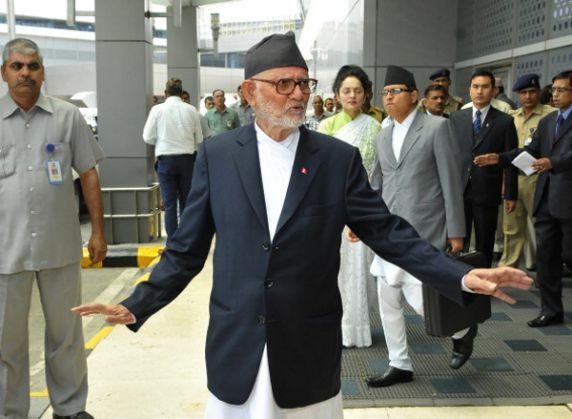 Koirala, who was elected Prime Minister of Nepal on 10 February, 2014, resigned in October last year after parties failed to forge a consensus amid continued protests and blockade of a key border trade point with India over the country's new Constitution. Prime Minister Narendra Modi on Tuesday expressed grief over his demise and said that India had lost a valued friend. "In Sushil Koirala ji, NC has lost a big leader who served Nepal for decades & India lost a valued friend. Pained by his demise. RIP," Prime Minister Modi said in tweet. "Sushil Koirala ji's simplicity holds lessons for all of us. My condolences to the Koirala family & people of Nepal in this hour of grief," he added. Born on 12 August, 1939 in Banaras, Koirala was the cousin of former prime ministers Matrika Prasad Koirala, Girija Prasad Koirala and Bishweshwar Prasad Koirala. He entered politics in 1954 and was in political exile in India for 16 years following the royal takeover of 1960. Koirala also spent three years in Indian prisons for his involvement in a plane hijacking in 1973. He joined the Nepali Congress in 1952 and served in various capacities prior to becoming its president in 2010.